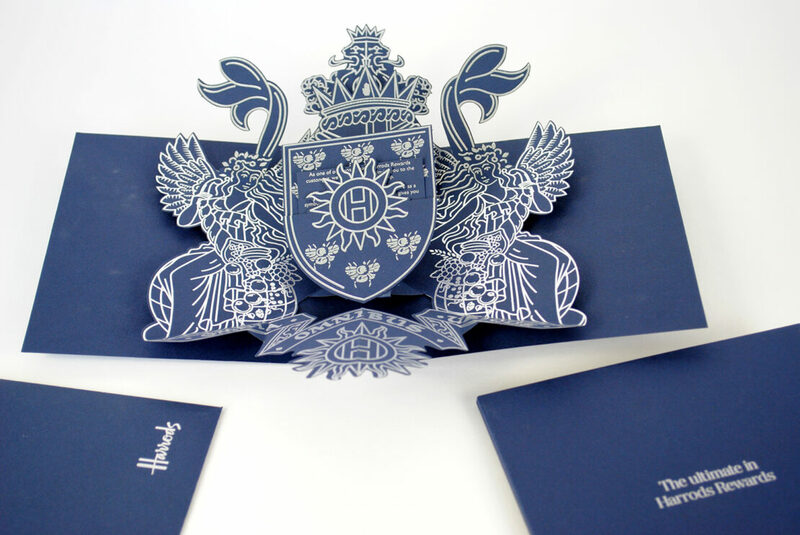 We made these luxurious cards for Harrods to send to its most exclusive customers. The intricate pop-up holds a loyalty card which presents itself to the reader. 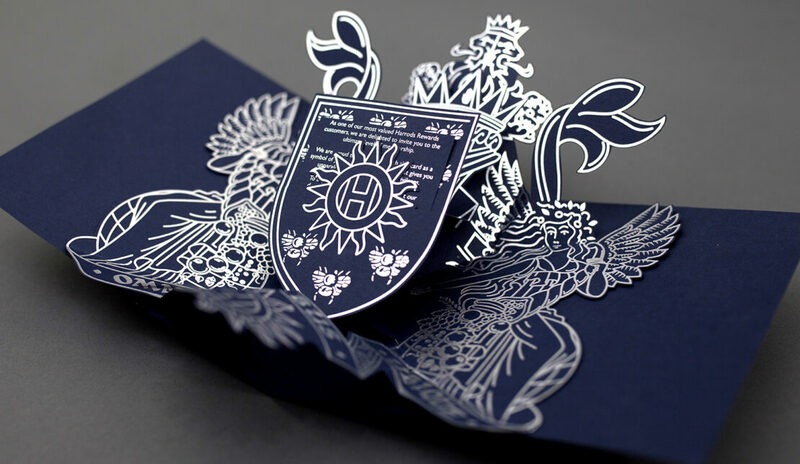 The design has been embossed in silver and has silver gilt edges.